Denova Medical, Inc. clinical engineering services are customizable to meet each medical facility’s unique needs. Our certified clinical engineers with assess your site and then meet with your clinical staff to tailor a program to fit your facility's needs. We will be the sole responsibility for both delivering and managing service on all of your diagnostic imaging and biomedical equipment. 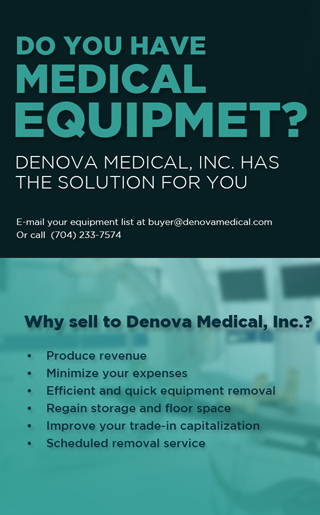 Denova Medical, Inc. is your source for depot medical repair service. We are an independent multi-modality medical equipment repair company. Our experience in refurbishing medical equipment allows us to quickly and efficiently trouble shoot any equipment failure you may have. Please contact us. Receive an estimate within 3 days. Denova Medical, Inc. has one of most comprehensive networks of independent service organizations (ISO) in the industry. 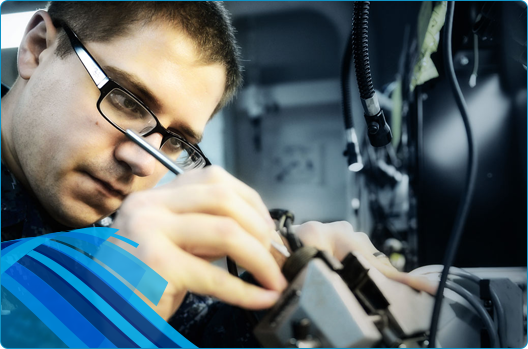 Our customers can have peace of mind knowing qualified engineers are nearby to provide all the warranty and after sales support they may need. For installations, we frequently send a project engineer from our home office to work with the local service provider to manage a smooth implementation. All of our ISOs go through a qualification process where we verify they meet minimum requirements before adding them to our Field Service Network (FSN). Medical equipment planning is crucial to the ultimate success of both new construction and renovation of healthcare facilities. Denova Medical’s proven equipment planning methodologies consistently enable projects to finish on time and within budget. Our staff will verify that the assets are correctly allocated with a minimal disruption to your facilities daily operations. Given the rate of technological improvements in equipment-focused departments such as operating rooms, critical care and imaging, a clearly defined process coupled with a highly qualified equipment planning team is necessary for success. When working with Denova Medical, the client can be assured of accurate budgets, equipment and room functionality, and honest unbiased equipment recommendations. Cost control and schedule achievement are two of the many notable concerns expressed by hospital executives when undertaking a major construction or renovation project. Denova Medical has an excellent record for meeting both project budgets and deadlines. 1. Clear levels of responsibility and expectation are determined for all members of the equipment planning team. 2. Regular communication ensures that each member is achieving their goals, which prevents late surprises in the planning process. 3. Early input by clinical users allows the planning team to better understand user needs. 4. Budgets are monitored throughout planning and execution. Budgets are updated regularly to reflect changes in cost upon vendor selection and once buying discounts are established.